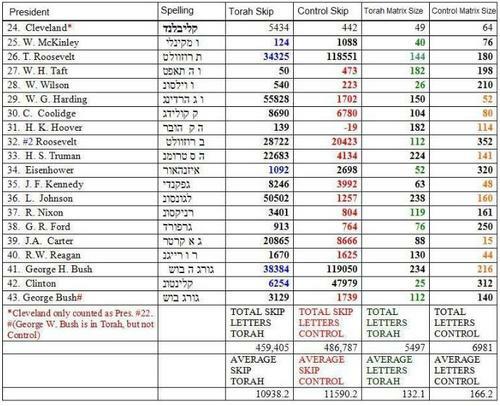 Does the Torah Code Predict Presidents? The Torah Codes hypothesis is that there will be smaller boxes for historically related things in the Torah than in the Control (scrambled Torah). 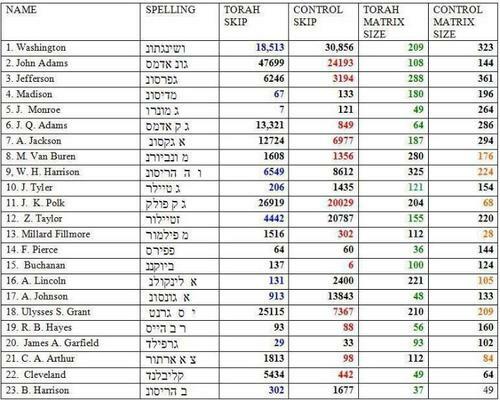 The Null hypothesis is that there is no significant difference in box (matrix) size between the Torah and the Control. The Code is based on an Equidistant Letter Sequence (ELS). 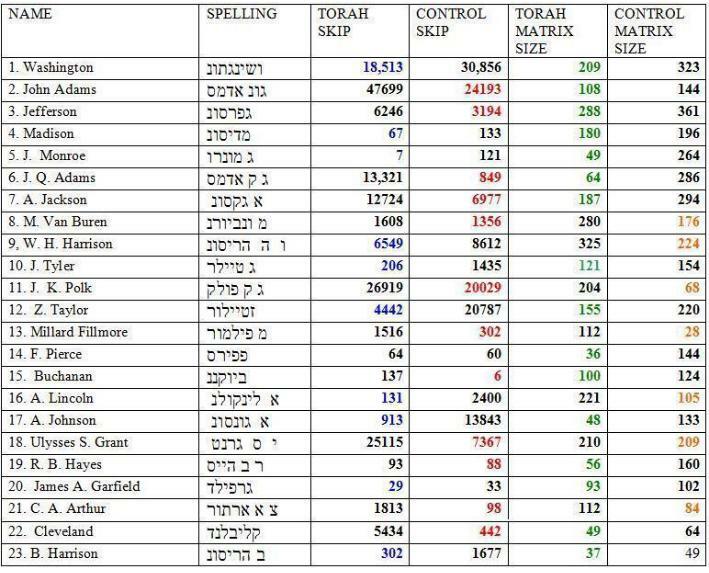 Which hypothesis will be supported when I find names (at an ELS) of all United States presidents and the word for president (spelled nun sin yud alef) in Hebrew in both the Torah and Control text? Note: This experiment earned me a Third Place for the 2005 Science Fair for San Francisco, Oakland, and San Jose, California. Results below were cited and expanded upon by Distinguished Professor Dr. Robert Haralick of the City of New York Graduate Computer Science Department. See American Presidents.